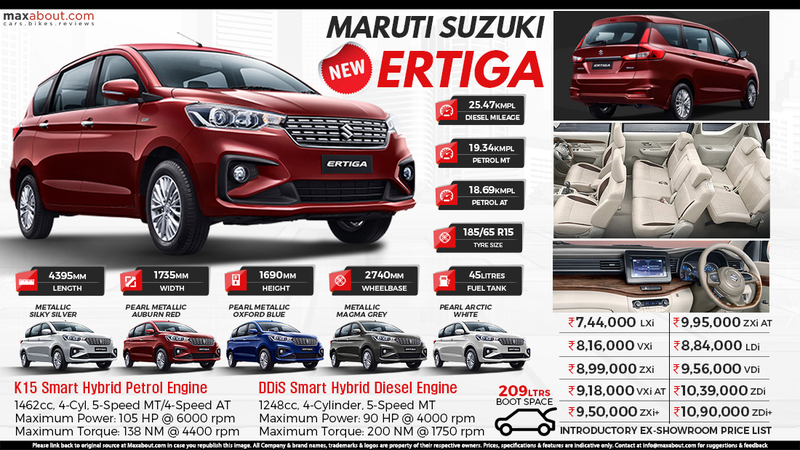 2019 Maruti Ertiga has been launched in India for INR 7.44 lakh (ex-showroom Delhi). The car comes in ten different variants starting with L as the base and Z+ as the top model for both engines. The difference between petrol and diesel engine is INR 1.40 lakh for each of the variant, with Maruti taking around INR 1 lakh for the automatic gearbox. Here is an engine wise break up for all Ertiga variants. Downloaded 78 times this week.